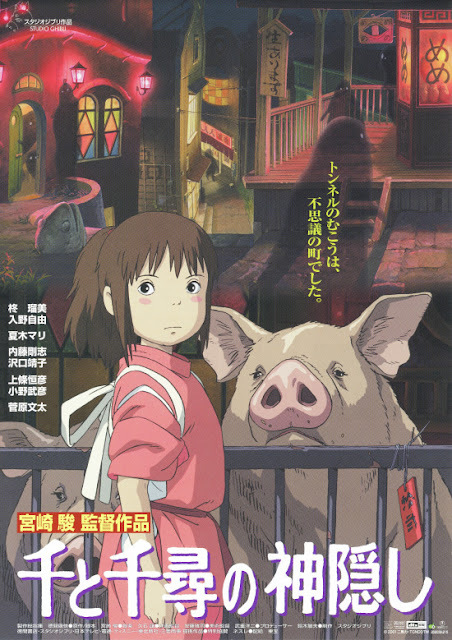 PennsylvAsia: Spirited Away (千と千尋の神隠し) playing in Pittsburgh, October 28, 29, 30. Spirited Away (千と千尋の神隠し) playing in Pittsburgh, October 28, 29, 30. The movie will play at the Southside Works Cinemas and at Pittsburgh-area Cinemark theaters in Monroeville, Monaca, North Hills, Pittsburgh Mills, and Robinson. The October 28 and 30 shows are dubbed in English, and the October 29 shows are in Japanese with English subtitles. Tickets are available online.